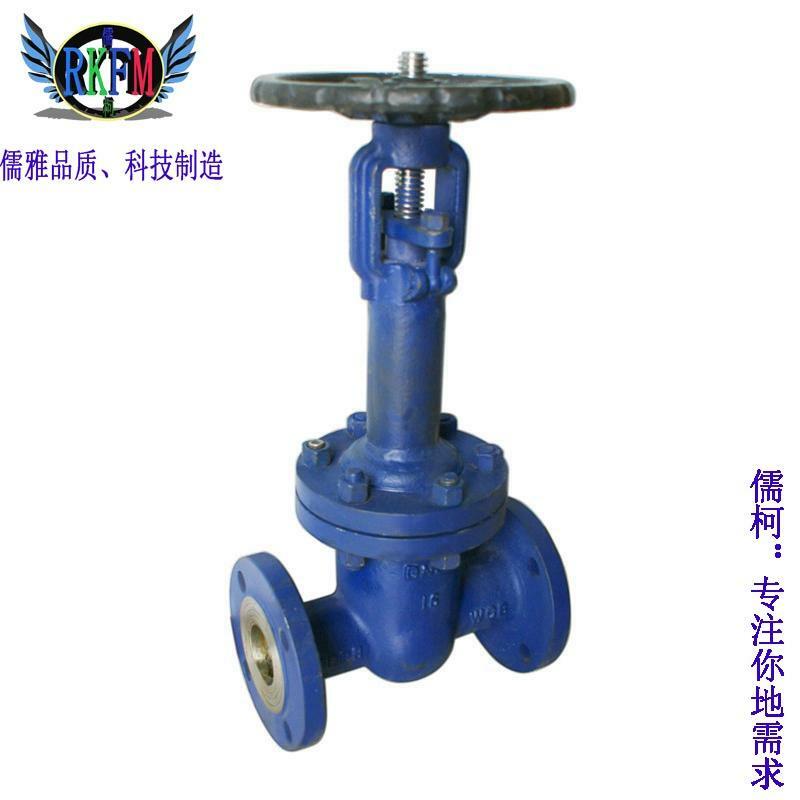 Brand [Z41Y-320P stainless steel high-pressure flanged gate valve ] Ke, Confucianism of Shanghai, used in Class150- 2500LB, operating temperature – 29- 425 ¡æ(carbon steel) Or – 29- 500 ¡æ(stainless steel) Pipe lines small-bore at,it is the above-mentioned without being if gone beyond for operating range please contact sales force of our company, arrange to make to order! Used for blocking or putting through the medium in the pipe line, choose different materials, can be suitable for many kinds of mediums such as water, steam, oil, nitric acid, acetic acid, oxidative medium, urea respectively. It is more to employ on the petroleum pipeline. 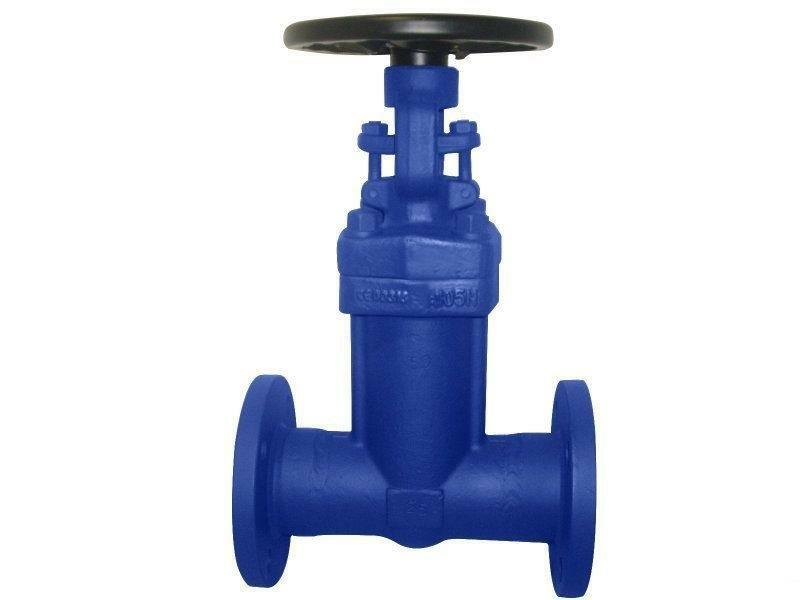 Z41Y high-temperature high-pressure flanged gate valve operating principle: The high-temperature high-pressure flanged gate valve has three kinds of body to overlay and connect and design the form. 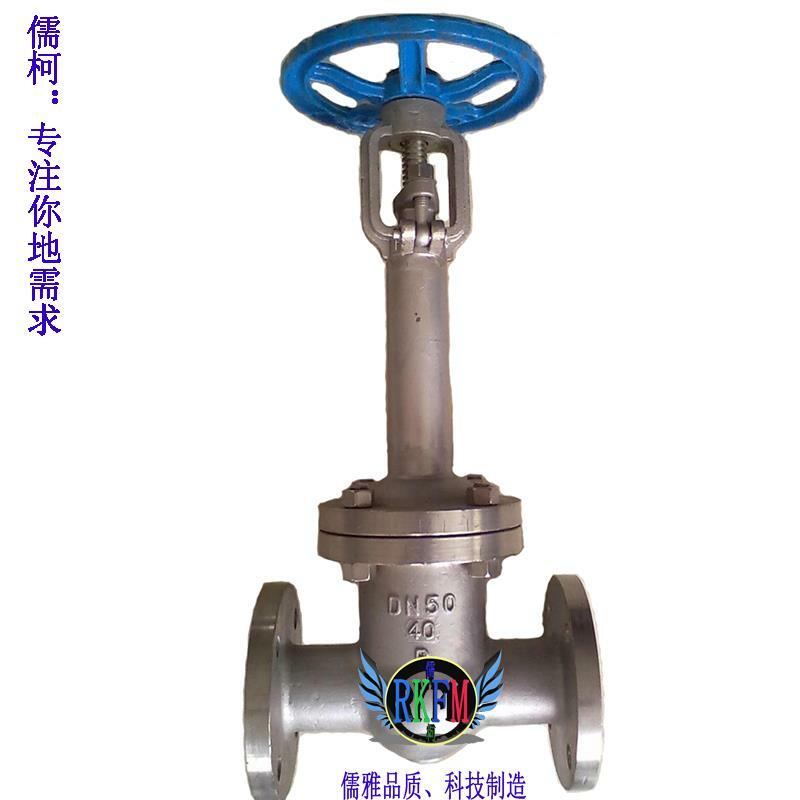 Valve Ke, Confucianism of Shanghai, first of brand whether body build the intersection of bolt joint and the intersection of forged steel and discharge gate, connect valve that the form is designed according to this kind, its valve body and valve cover use the bolt joint, the winding type shim is sealed, the advantage is to benefit maintenance. The second kind of body is covered on the forged steel discharge gate of welded connection, connect valve that the form is designed according to this kind, weld sealing completely with its valve body and valve cover, the advantage has not been let out outside. The third kind is a self-fastening valve cover forged steel discharge gate of pressures, connect valve that the form is designed according to this kind, its valve body and valve cover are connected with spiral shell’s mosquito, the internal pressure is sealed from the sealing ring, the advantage is that the internal pressure is the greater, the better its sealing property is. 3.The structure of the valve body: Single valve plate, one pair of valve plates. 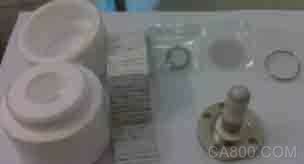 4.The valve body is sealed: Soft to seal, hard and seal. 8.The main material of valve body: Stainless steel, cast steel, carbon steel, casting iron,etc..
9.Applicable working condition medium: Water, oil, steam,etc..
Shanghai the intersection of Confucianism and Ke valve brand sealing surface can only rely on the medium pressure to seal, namely rely on the medium pressure to press the sealing surface of the damper towards the valve seat in the other side to guarantee the sealing of the sealing surface, this is self sealing. Most discharge gates are adopted and forced the sealed one, when the valve is closed, should rely on the external force to press the damper towards the valve seat by force, in order to guarantee the leak tightness of the sealing surface. Damper of discharge gate make straight-line together with valve stem, ask the intersection of lifting arm and the intersection of floodgate and valve (call bright the intersection of pole and discharge gate also) . Usually there is trapezoidal thread on the lifting arm, through the channel guide on valve terminal nut and valve body, turn rotary motion into the intersection of straight line and sport, operate running torque, turn into, operate thrust while being only. Shanghai the intersection of Confucianism and Ke valve brand look on as the intersection of damper and lifting height equal to the intersection of valve and 1 of path: When the 1 time, the fluidic passway is totally unblocked, but during operation, this position can’t be monitored. At the time of in-service use, regard vertex of the valve stem as the sign, the position that namely can not start, wide-open position as it. For consider temperature variation present lock phenomenon extremely, usually at reaching of dot location, 1/2- 1 of the circles changebacks again, the position as the wide-open valve. So, the wide-open position of the valve, according to the position of the damper (namely the journey > Come to fix. 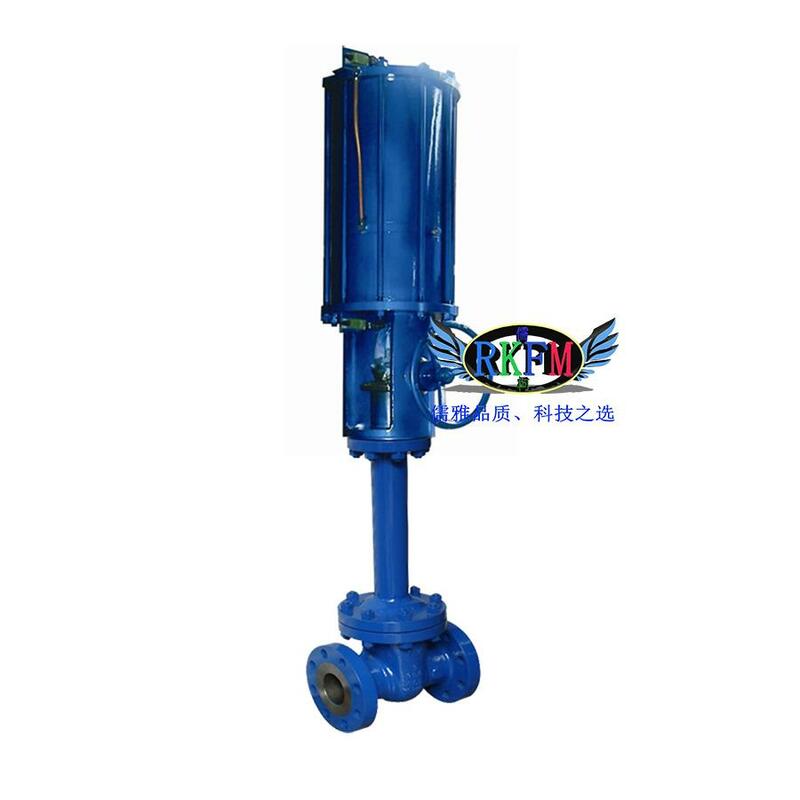 The pneumatic high-temperature flanged gate valve utilizes compressed air, drive the pneumatic piston actuator, drive the valve clack, achieve the goal of opening and closing the valve control fluid, realize remote control and automation control. The discharge gate adopts the containment structure of the corrugated pipe, change and seal it for static seal, the sealing property is improved greatly. The discharge gate of corrugated pipe has been realized and sealed doubly, the stainless steel corrugated pipe is protected and sealed, the packing of valve stem is protected and sealed, if the corrugated pipe fails, the packing of valve stem will avoid letting out. 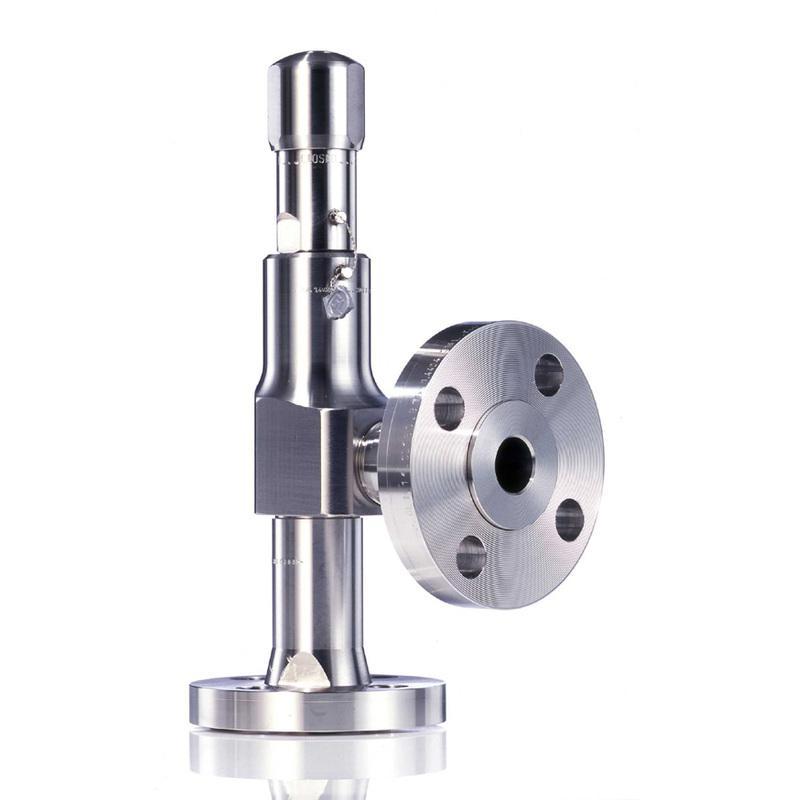 Guarantee the valve has not been revealed in a situation that it is strong to permeate in high-temperature high pressure, medium. The intersection of sealing surface and the intersection of build-up welding and stainless steel or the intersection of cobalt base and carbide or the intersection of person who adopt the nonmetallic material and many kinds of associations, it is wear-resisting, corrosion resisting and resisting and rubing the long sealed association of life time of good performance to make up in order to meet various working condition requirements. Guarantee the valve lets out the phenomenon in not having without leaking promptly. Suitable for the air, steam, heat conduction oil and flammable, explosive, poisonous, medium of radiating etc.. Apply to fields such as petroleum, chemical industry, natural gas, nuclear industry,etc. extensively. Applicable medium: Air, steam, heat conduction oil and flammable, explosive, poisonous, medium of radiating etc. The major advantage of the central lubricating system can often lubricate specific friction to click while the machine operates, thus guarantee the life time of spare part of the apparatus is longer. Import to the agent in Shanghai of glue apparatus Lubtec lubricating system of the oil site, please choose the Industrial Co., Ltd. sincerely of cloud of Shanghai. In the central lubricating system, LUBTEC has signed the long-term cooperative agreement with Volvo company, offer for the car of Volvo, the forklift truck,etc. and lubricate system design and service. Lubtec Company is mainly engaged in some glue apparatuses, the central lubricating systems, and mix technical research and development and production. The company founded in 1996, 1K some glue that LubTec Company designed distributed the apparatus, solved all about transporting, manage, controlling and real supplies assigned measurement and allocation problem. LUBTEC supplies distribution system summing point glue apparatus is used mainly in auto industry, the electric tool is made, the consumption electronic product is made, electrical engineering, machinery and device fabrication, pharmacy trade, glass trade, paper industry, aircraft industry, the shipping industry,etc.. It is long and durable, in addition the output of pump is easy to regulate. Zirconium oxide oxygen analysis meter that the horizontal river electrical machinery produces is widely used in burning monitoring and control process of many kinds of trades. 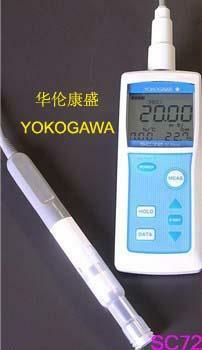 Used in the situation that one kind of angry pressures of the high-temperature probe is the negative value. Zirconium oxide oxygen analysis meter is applied to burning monitoring and control process of many kinds of trades extensively, and help every profession and trade field to make the very considerable energy-conserving result. The application includes the energy consumption trade, such as steel industry, electronic electricity industry, petrochemical industry, pottery industry, papermaking manufacturing industry, food industry, textile industry, also include various burning apparatuses, such as the incinerator, medium and small-scale boiler,etc.. Apply this analysis meter to burning and monitor and control, will contribute to sufficient burning, reduce the discharge of CO2, SOx and NOx, thus in order to prevent global warming and air pollution from making contribution. ZR402G converter is furnished with LCD touch-sensitive screen, there is varied settlement revealing, standardization revealing, oxygen density trend that reveals, easily operated, and the display function is strengthened. The converter has various standard functions, such as measuring and operation, and the maintenance function including self test. ZR22G split type sensor adopts the high reliability zirconia sensor, its heating equipment can be changed live. If install this sensor in the flue wall, can carry on aerometry directly. The split type converter ZR402G has LCD touch-sensitive screens, easily operated. 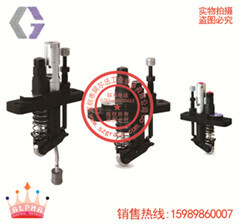 The embedded probe heating arrangement can be changed live, has reduced the maintenance cost. The probe adopts having long performance life, high zirconia sensor of reliability. Use digital communication (HART) Carry on remote maintenance, has reduced the maintenance cost. Comments: HART is a registered brand of HART Communication Foundation. *2,When the detector insert length is greater than 2.5m, use the detector protective tube, appointed Z021R-L – a mouth – mouth, appointed Fran’s additional code – C or – K.
*1,Confirm assessing / HS while measuring the humidity. *2,The appointed selection / SCT or / PT select. *3,Can still prevent the sunlight effectively such as being abraded. (note) Do not offer pipeline and bond-linkage element. High-pressure corrugated pipe discharge gate – its valve body of discharge gate of corrugated pipe of WZ41H-900LB forged steel compares with casting, have more homogeneous structure, better density, better intensity completeness, better size characteristic and smaller size error. Directional structure all have more high characteristics than the casting in whole intensity and stress. High-pressure corrugated pipe discharge gate – WZ41H-900LB forged steel corrugated pipe discharge gate is employed: Chemical industry, petroleum, petrochemical industry, papermaking, mining, electricity, liquefied gas, food, pharmacy, water supply and drainage, municipal administration, mechanical equipment matching, electronics industry, fields such as the urban construction,etc. Characteristic such as being small-scale and lightweight, usable, waterproof of SC72-11-E-AA walkie conductivity appearance, very suitable for scene and laboratory application. Watertight construction (IP67) ,Hermetic outer cover and interface unit cover, the water-proof performance are remarkable. The macro-screen LCD reveals, easy to look over. The selfdiagnosis of the exception condition calls the police. Automatic power off function, lengthen the battery life-span. Warning function of the audio frequency. Address: L district of 6 layers in Long Sheng commercial mansion of the intersection of Medulla Junci of Shenzhen and the intersection of billow of newly developed area and the intersection of peace of street and Luis 368 No. Shanghai the intersection of Confucianism and Ke valve the intersection of corrugated pipe and flanged gate valve – the intersection of WZ41H-16 and manual the intersection of corrugated pipe and discharge gate use in at pipeline that full flow leak require mainly, can get up not to let out, the characteristic of requiring etc. that do not sound the flowrate. To it opens and closes piece to be valve clack to fill shape discharge gate, seal and personally submit the level or conical surface, the valve clack does the rectilinear motion along the fluidic mean line. The movement form of the valve stem, go up and down rod typely (valve stem goes up and down, the hand wheel does not go up and down) ,Also go up and down and rotate rod typely (the hand wheel is rotated and gone up and down together with valve stem, the nut is set up on the valve body) . The corrugated pipe discharge gate is only suitable for the wide-open and full-turn-off, does not allow to regulate and reduce expenditure. 6,Corrugated pipe flanged gate valve – WZ41H-16 manual corrugated pipe discharge gate Germany marks series F5 the bright rod type discharge gate is suitable for liquid-gas, aqueous medium pipe line and apparatus, serve the purpose of putting through and cutout. This valve of fluid resistance and opening and closing the required force moment minorly, is not limited by the flow direction controlled, physique is simpler, it is better to make manufacturability. So it is in a very large range to use, apply to fields such as food, medicine, water supply and sewage work, architecture, fire control,etc. extensively. Sealed material: Soft to seal, hard and seal. Make the requirements: DN15 is less than or equal to DN350. Applicable temperature: 0 ¡æ is less than or equal to 550 ¡æ. Applicable pressure: 0.1Mpa is less than or equal to 6.4Mpa (vltrahigh voltage can be made to order) . 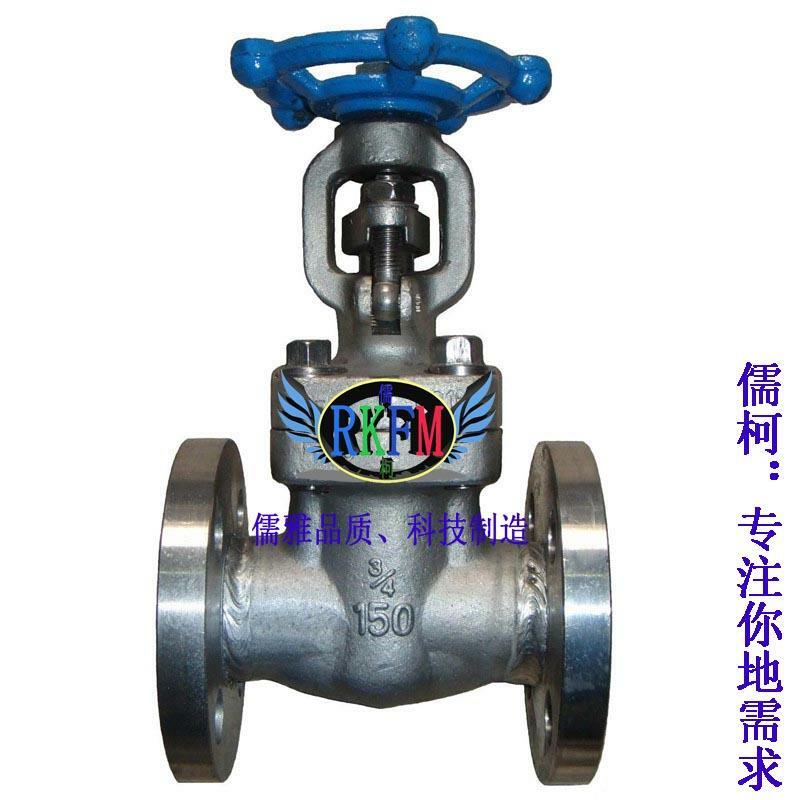 Valve body material: Stainless steel (304) , cast steel (WCB) , chrome molybdenum steel (WC6) When. Applicable medium: Water, oil, steam, all kinds of acid, corrosivity medium,etc.. Employ: Trades such as the petroleum, chemical industry, pharmacy, chemical fertilizer, electricity,etc. Shanghai the intersection of Confucianism and Ke valve DZ41W-40P add the intersection of long-rod and the intersection of low-temperature and flanged gate valve, adopt, meet at low temperature sealing materialing and dark cold the intersection of low-temperature and treatment technology, feasible ==Accommodate the medium reachable – 200 ¡æ in temperature, such as liquid nitrogen, as putting through or cutting off the control equipment that the fluid uses on medium pipe lines of ultra-low temperature such as liquid ammonia and low-temperature refrigerant,etc.. Extensively suitable for trades such as the heavy industry, vessel, petrochemical industry, electricity equipping, food machinery,etc. pipeline system. The valve below zero – 40 ¡æ that originally – -The use for a long time between 200 ¡æ, guarantee the safety. It is the optimal control equipment of pipeline system of ultra-low temperature.
. SZ41H valve stem lengthening discharge gate. . Lengthening flanged gate valve of valve stem. . SZ61H valve stem lengthening welding neck discharge gate. . Lengthening forged steel discharge gate of valve stem. .
About products: Shanghai Confucianism whether DZ41W-40P add the intersection of long-rod and the intersection of low-temperature and the intersection of flanged gate valve and famous professional manufacturer in Ke, this valve is mainly to adopt the structural process technology of the lengthening of the valve stem, the discharge gate made, or needs lengthening and opening and closing the discharge gate used on the working condition of the valve stem for the buried, the switch principle relies on the actuating device to drive the valve stem to move and spur or promote the movement direction of the damper to be transverse to fluid direction opening and closing the movement characteristics, control the apparatus put through or ended and used of fluid medium, used in the running water extensively, as regulating and damming the device to use on body pipelines such as sewage, architecture, petroleum, chemical industry, food, medicine, light textile, electricity, vessel, metallurgy, energy system,etc..